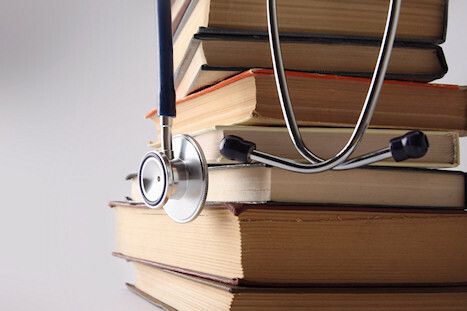 PLAB 1 is a conceptual exam where a candidate must apply medical knowledge (both basic science and core clinical) to common cases encountered by junior doctors in NHS hospitals. It does not simply require candidates to recite and regurgitate facts (an approach taken by far too many). All answers are based on current best practice and published evidence. All current medications used in the UK will be found in the latest edition of the British National Formulary (BNF). It’s made up of 200 single best answer questions (SBAs). It’s a multiple choice type exam question also known as best of five or one from five. Each starts with a short scenario followed by a question eg ‘What is the single most likely diagnosis?’ You need to choose the right one out of five possible answers labelled A to E. Some of the other answers may be valid but you need to choose the best one. If you enter more than one answer on the answer sheet you’ll gain no mark for the question. Images for example ECGs, chest X-rays, dermatological presentations are becoming more popular. Having dissected the GMC PLAB blueprint we are thoroughly aware of the requirements to succeed in PLAB 1. The course content and material is thoroughly up-to-date (in accordance with currently published guidelines). We have formulated over 2000 SBA questions of the highest quality, which will give candidates an excellent platform on which to practice on. The PLAB 1 course is a 10 day concise (1 day break in between), informative and comprehensive course that will cover the salient subjects tested by the General Medical Council (GMC) of UK. Information delivered will be in absolute accordance with current best practice (NICE guidelines). All learning resources will be provided.